The grant will establish an Alpha Clinic on the UCD Medical Center campus. This new clinic will provide a centralized space and personnel to administer stem cells and immunotherapy, conduct follow-up visits and manage biospecimens. The funds also include a "Fellows Training Program" for physicians to gain the full spectrum of skills needed to conduct clinical trials using stem cells. As part of the state stem cell agency’s Alpha Stem Cell Clinics Network, the university joins a consortium of top-tier institutions tasked with expanding enrollment in stem cell clinical trials throughout the state. This network focuses on the development of new resources as well as taking advantage of existing research expertise in order to address the unique challenges of taking novel investigational stem cell products from the laboratory bench to a patient’s bedside. In an article for UC Davis Health, Jan Nolta, director of the university’s stem cell program and the UC Davis Institute for Regenerative Cures stated, "We’re excited about the prospects of linking with the other Alpha clinics to speed the process of testing and refining treatments so we can get them to the patients who need them. 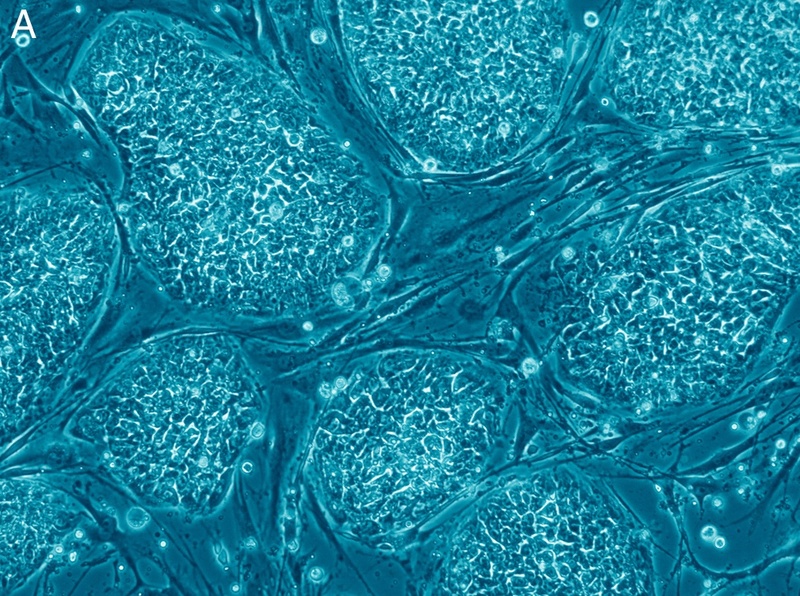 It’s what we’ve always looked at as ‘turning stem cells into cures." Over the past decade, UCD has received more than $130 million in CIRM funding. CIRM grant reviewers cited the university’s good manufacturing practice (GMP) facility and expertise as one reason for this latest award. The GMP facility manufactures stem cell, gene and immunotherapy products for numerous partners, and features six manufacturing rooms with commercial grade, multi-use cleanroom capabilities, as well as an associated product scale-up and testing lab. In addition to The GMP facility, UCD’s Institute for Regenerative Cures offers fifteen leading-edge research core services. The Vector core features the development and production of viral vectors necessary for gene transfer in research experiments and pre-clinical studies. The Karyotyping Core enables stability monitoring for human embryonic stem cells. The vivarium institute houses a pathogen-free barrier facility that allows for the breeding of specialized transgenic- and immune-deficient mouse strains. The Umbilical Cord Blood Collection Program at UC Davis provides cord blood units for research pertaining new clinical uses of stem cells derived from cord blood. The Exosome Therapeutics research team is developing a new therapeutic platform using stem cell nanoparticles called exosomes to treat neurological and cardiovascular diseases. UCD has approximately 150 scientists working on a variety of stem cell-related research projects. The UC Davis Institute for Regenerative Cures opened in 2010 on the Sacramento campus. This $62 million facility is the university's hub for stem cell science. 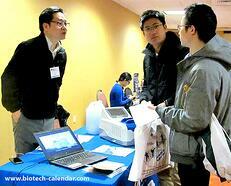 On Friday, January 19th, 2018 Biotechnology Calendar Inc. will host the 20th Semiannual BioResearch Product Faire™ at UC Davis Medical Center. 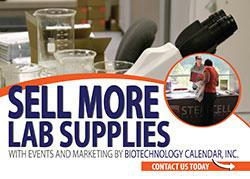 Here researchers can meet face to face with laboratory equipment suppliers and discuss their lab supply needs. They can see displays and demonstrations of the newest technology and equipment available. Science professionals are invited to attend these biotechnology events for free. Those wishing to increase their laboratory product sales in 2018 should plan on participating in this biotech showcase. It is a great place for laboratory and chemical supply companies to educate UCD researchers about their products. 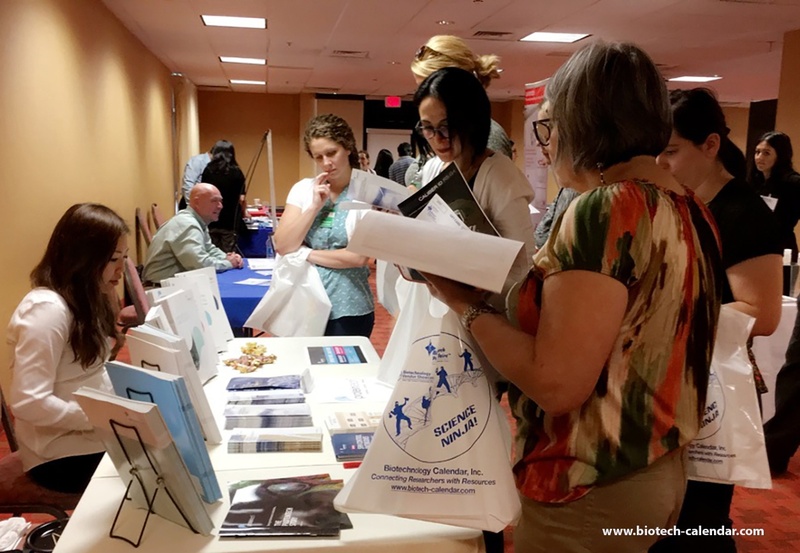 Last year, the BioResearch Product Faire™ Events at The University of California, Davis Medical Center attracted a total of 241 attendees between both events. Of these attendees, 95 were purchasing agents, professors and post docs, and 29 were lab managers. Click the link below or call (530) 272-6675 for more information.